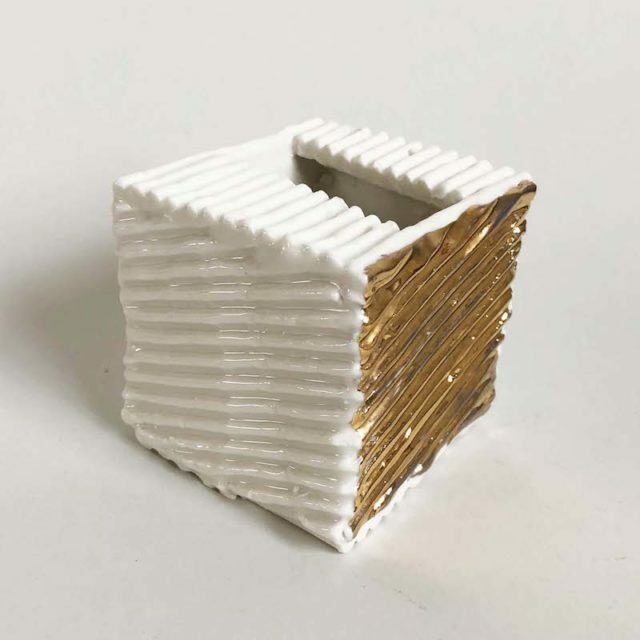 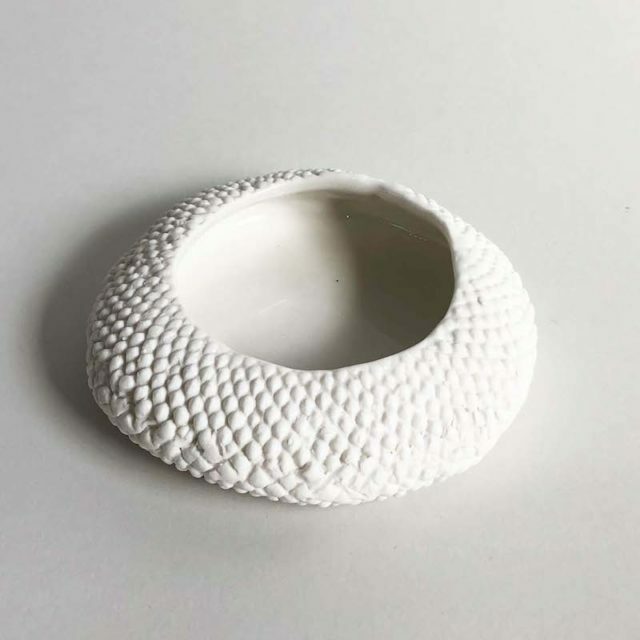 Milly Dent is a Sydney based ceramic designer whose work explores the material of porcelain through uniquely handcrafted, exclusive ceramic goods. 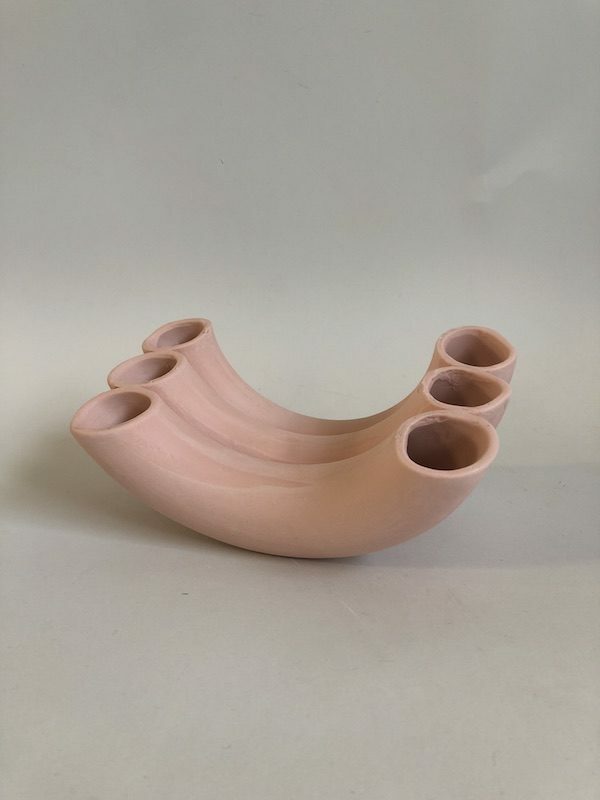 The underlying philosophy behind Milly’s work is based on the simple ideal of producing works that result in outcomes which are both utilitarian and sculptural. 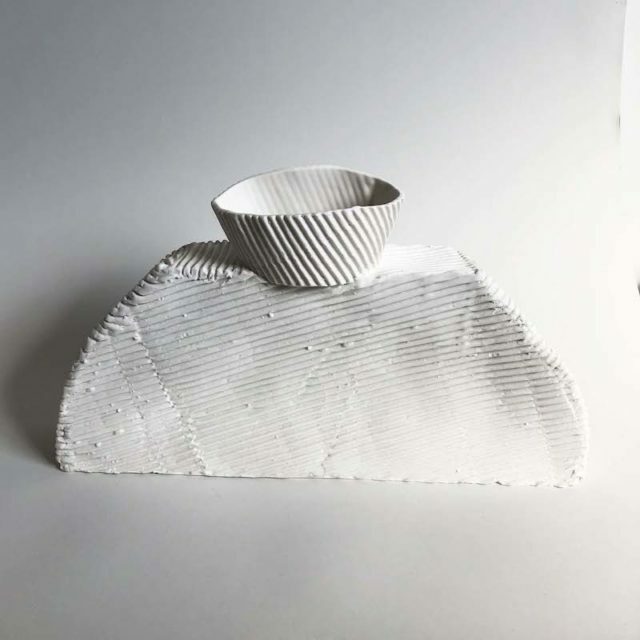 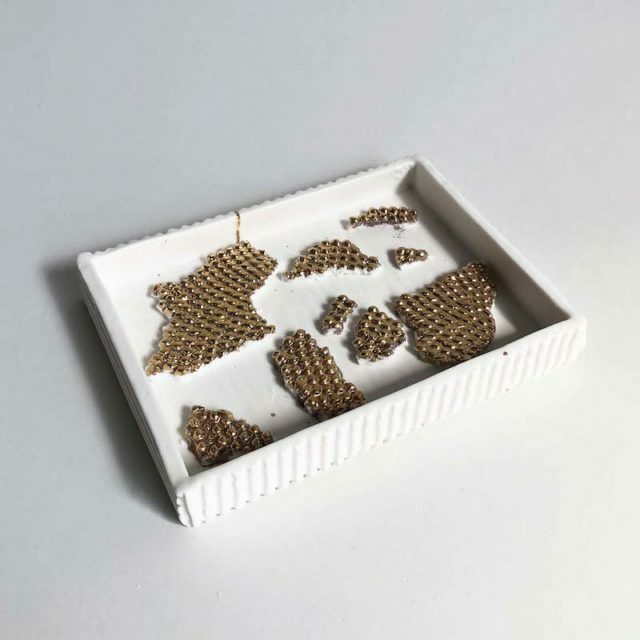 With the support of the Australian Council for the Arts, Milly undertook an artist’s residency in Arita – a pottery village on Kyushu Island, recognised as the birthplace of porcelain in Japan. 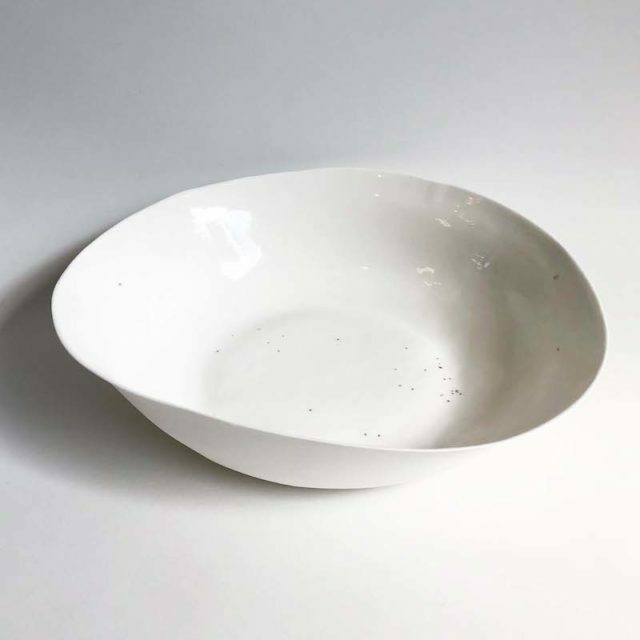 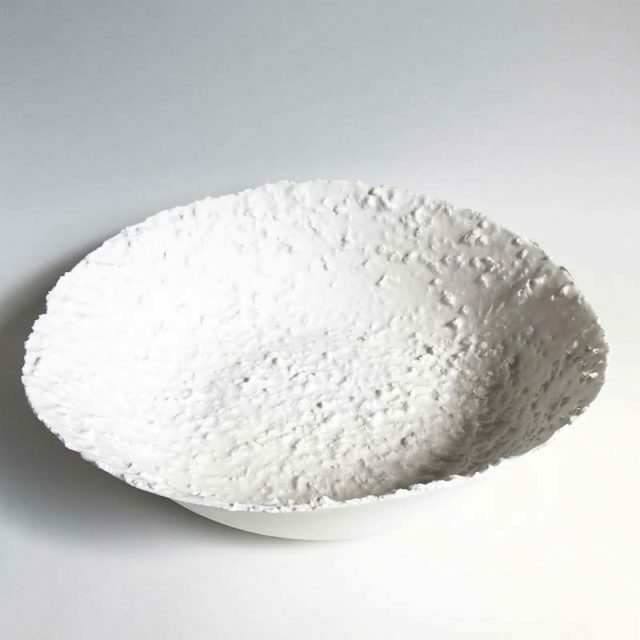 Intrigued by porcelain’s reputation as a smooth and compliant clay, Milly Dent investigates the material surface tension, developed across a scale of thickness, roughness and the whiteness of the clay body. 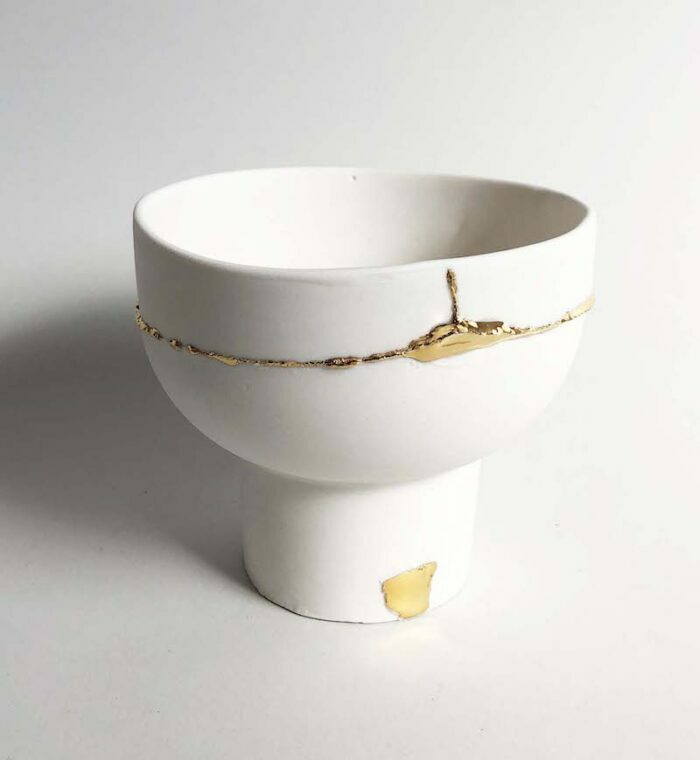 Subtle shifts in surface finish from raw unglazed porcelain to gloss glaze to ethereal gold lustre, are used to celebrate the fine detail. 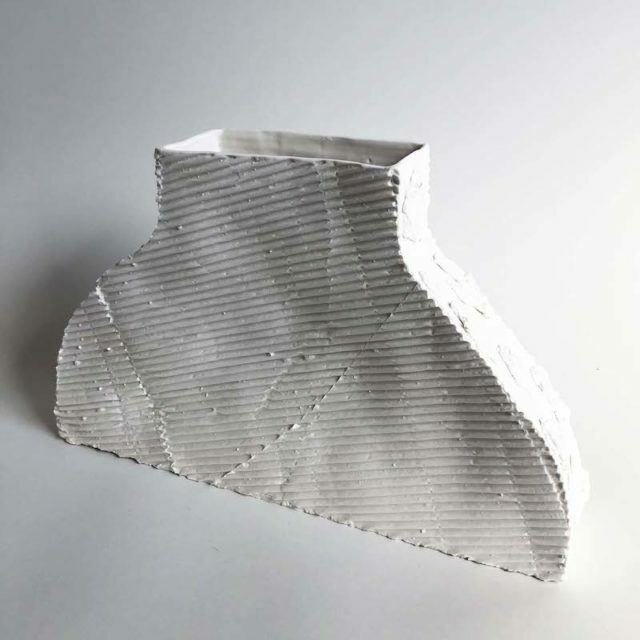 As a traditionally industrial process, associated with larger scale production, Milly utilises the slip casting process as the primary mode to construct her works. 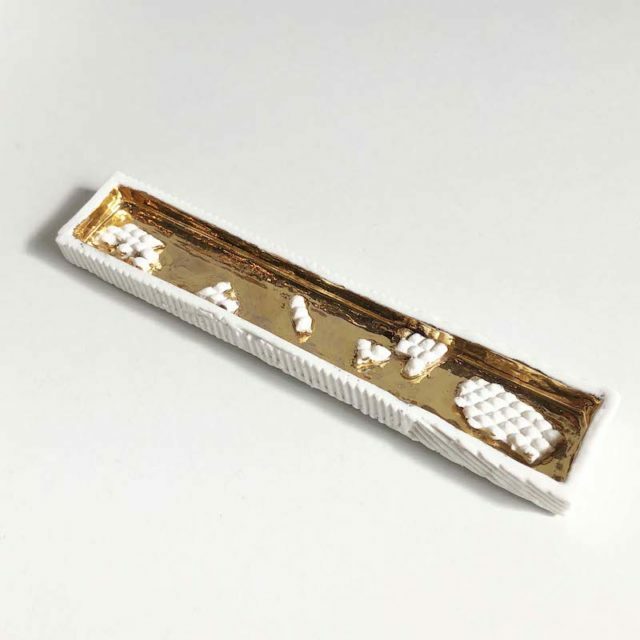 Beyond slip casting she explores experimental burn out methods and a wide variety of natural materials - wood chips, sawdust, cardboard, popcorn, sunflower seeds - for variation in surface texture. 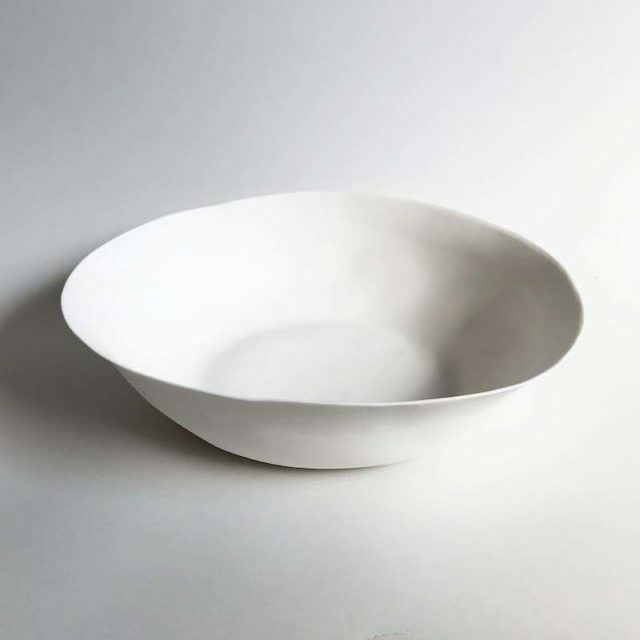 The result, a series of innovative porcelain outsources. 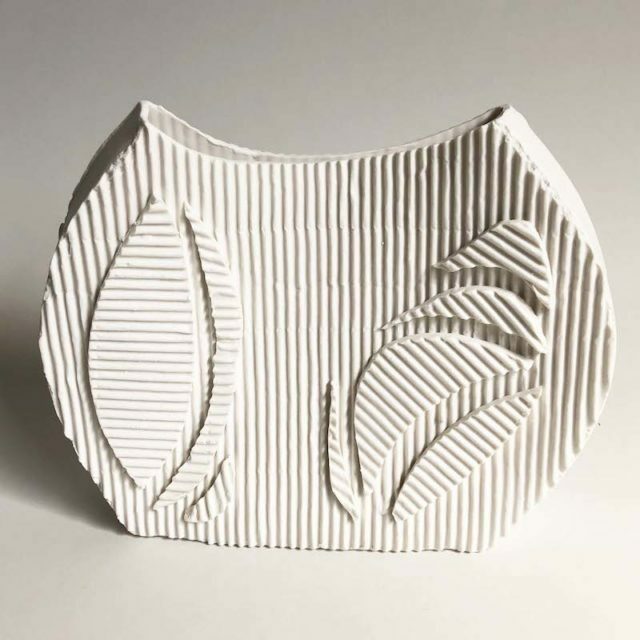 Milly Dent is a Sydney based ceramic designer whose work explores the material of porcelain through uniquely handcrafted, exclusive ceramic goods. 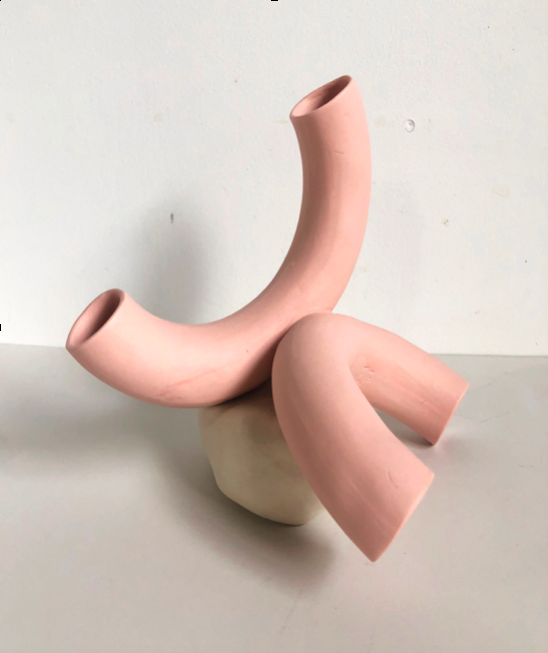 The underlying philosophy behind Milly’s work is based on the simple ideal of producing works that result in outcomes which are both utilitarian and sculptural. 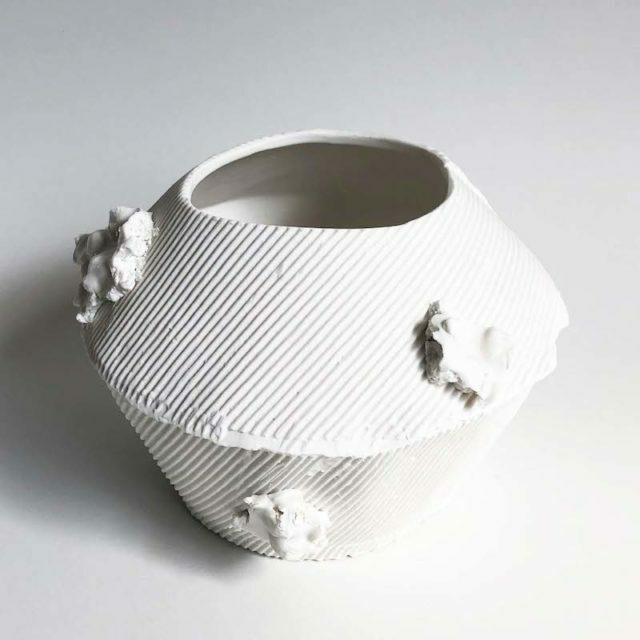 With the support of the Australian Council for the Arts, Milly undertook an artist’s residency in Arita – a pottery village on Kyushu Island, recognised as the birthplace of porcelain in Japan. 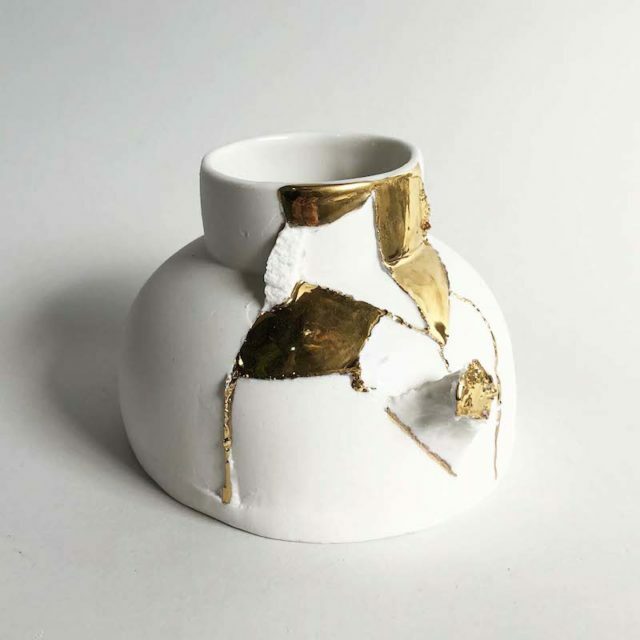 to ethereal gold lustre, are used to celebrate the fine detail. 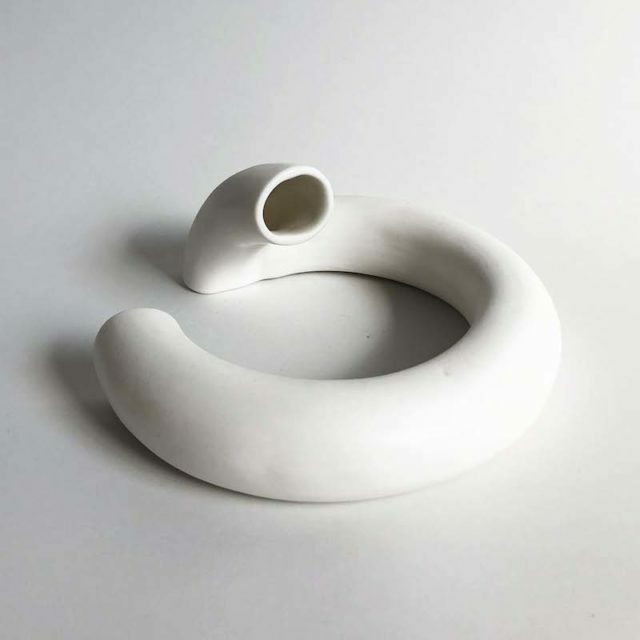 series of innovative porcelain outsources.